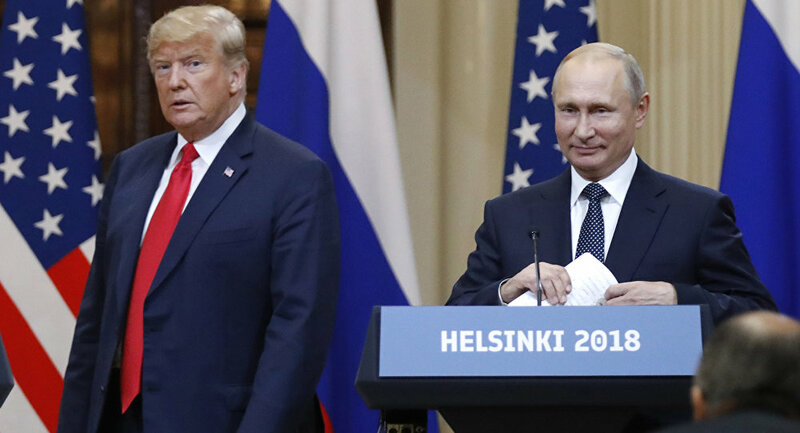 MOSCOW (Sputnik) - Russian President Vladimir Putin enjoys the greater trust of the international community than his US counterpart Donald Trump, according to a poll conducted by the US Pew Research Center. The poll showed that Putin enjoys the trust of 30 percent of respondents, while Trump was trusted by as many as 27 percents of interviewees. At the same time, it is noted that over 81% of Russians support Putin's activities on the world stage. German Chancellor Angela Merkel topped the rating of politicians in whom the international community trusts, with 52 percent of people having said they did have confidence in Merkel. The German chancellor was followed by French President Emmanuel Macron and Chinese President Xi Jinping, who are considered as credible by 46 and 34 percent of respondents respectively. The poll was conducted among 26,112 respondents from 25 countries of the world during the period from May 20 to August 12.